Get tickets to What if the truth is not enough? It was Keats 200 years ago who ended “Ode on a Grecian Urn” with the infamous lines: “‘Beauty is truth, truth beauty,—that is all / Ye know on earth, and all ye need to know. '” We move through our life accepting certain truths, while rejecting others. Today, it seems an insurmountable task to work through the noise of information, both true and untrue. Will exposing truth quell the incessant battery of today’s political climate, or will it merely reveal the greater socioeconomic issues that continue to plague our modern society? 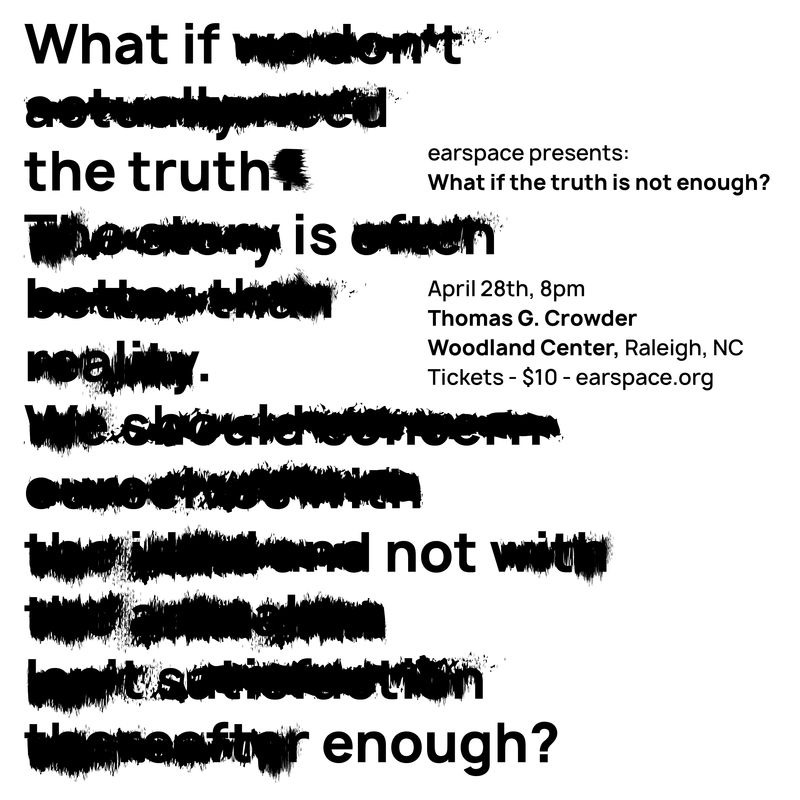 In our program titled, “What if the truth is not enough?” earspace explores these larger questions using music, poetry, tweets from public officials, and visual projections. earspace has partnered with local projectionist and director Francesca Talenti, spoken word artist William "Endlesswill" Davis, and composer Richard Drehoff Jr. to present an evening performance which ponders concepts of truth and beauty. Tickets are $10 when purchased in advance. Please note that seating for this event is extremely limited and tickets purchased at the door will be $15.